Top-tier reviewers like me adore making analogies and ‘meets’ to help readers quickly understand what a show is like: “It’s Fawlty Towers meets I, Claudius“, “It’s Friends meets Black Hawk Down“, “It’s The Full Monty meets Top Gear“. You can probably imagine shows like that already, even though I’ve not named them and as far as I know, they don’t exist. But you can still imagine them. Sometimes, that’s not helpful though. If I said Marvel’s Runaways is “Gossip Girl meets The Breakfast Club meets the second season of DC Legend’s of Tomorrow“, that’s pretty accurate but I’m not sure you’d be any wiser for the analogy. In fact, you’d probably be baffled. My bad. So, let’s take this slowly. There are six kids, now in High School, who 10 years ago were great friends through their parents, who are among the country’s great and the good. However, following some tragic ‘incidents’ that occurred back then, the friends no longer speak to one another and have all been affected in different ways. Now one of them, Rhenzy Feliz, wants to get the gang back together and Magnificent Seven-like, he goes to them each in turn. There’s goth Lyrica Okano; social justice warrior Ariela Barer; lacrosse player Gregg Sulkin; the younger, more positive Allegra Acosta; and pretty church zealot Virginia Gardner. With Thanksgiving largely knocking the US schedules for six last week, I’ve had the chance to play a bit of catch up. Okay, so Netflix played sneaky and released both Godless and Spike Lee’s update of She’s Gotta Have It, but fingers crossed, I’ll be able to have watched one (or even both) of those this week in time for next week’s Boxset Monday. Elsewhere, I passed third-episode verdicts on Frankie Drake Mysteries (Canada: CBC; UK: Alias) and No Activity (US: CBS All Access) and reviewed the first episode of The Indian Detective (Canada: CTV; UK: Netflix). Tomorrow, I’m going to either review the first episode of or pass a fourth-episode verdict on Marvel’s Runaways (US: Hulu), depending upon how tolerable it is (“Six diverse teenagers who can barely stand one another must unite against a common foe… their parents” – this could be unbearable, but word-of-mouth seems good so far). But it’s mainly the regulars I’ve had time for. 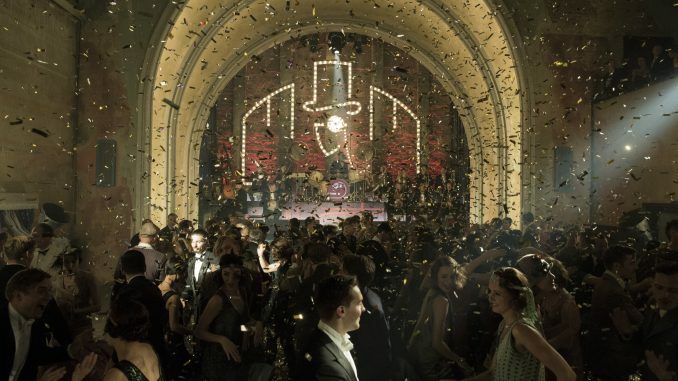 After the jump, I’ll be casting my eye over the rest of the first seasons of Babylon Berlin and There’s… Johnny!. I’ll also be looking at the latest episodes of DC’s Legends of Tomorrow, Dirk Gently’s Holistic Detective Agency, Mr Robot, SEAL Team and Travelers. We also steeled ourselves and finally got round to watching the series finale of Marvel’s Inhumans. Was it worth it? You’ll find out soon enough. All that, after the jump, as well as a gander at one new(ish) show: Les témoins (Witnesses). See you in a mo, where you can tell us all what you watched, too. Go on – you know you want to.